Premier Cloth Reversible Scrub Pants: Our Top-Selling Premier Cloth Scrub Pants Are Designed Using The Most Generous Cut In The Industry. 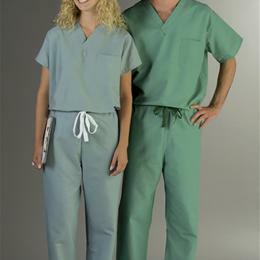 Premier Cloth Is A Comfortable 50% Polyester/50% Cotton Blend Guaranteeing Comfort And Durability. These Pants Feature A Drawstring Waist And A Pocket On The Back Right Side. *Ciel Blue, Large.